Vladimir Putin knows how to make friends and influence people. 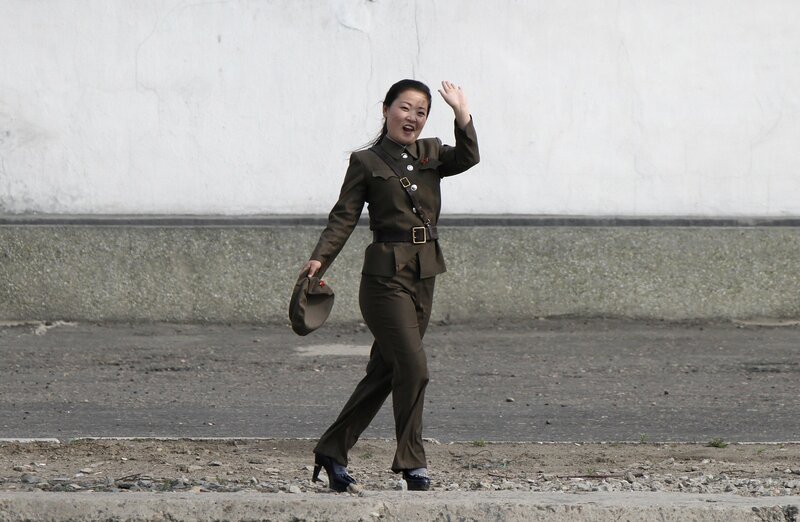 It takes charm, a little anti-Americanism, a dollop of conservative family-values ideology, some visionary-leader atmospherics and, of course, money. Over recent years the Kremlin has been busy deploying all these tactics and more to attract, or in some cases to rent, allies across Europe. Now, with the West uniting against Russia, the Kremlin has ordered that campaign expanded. 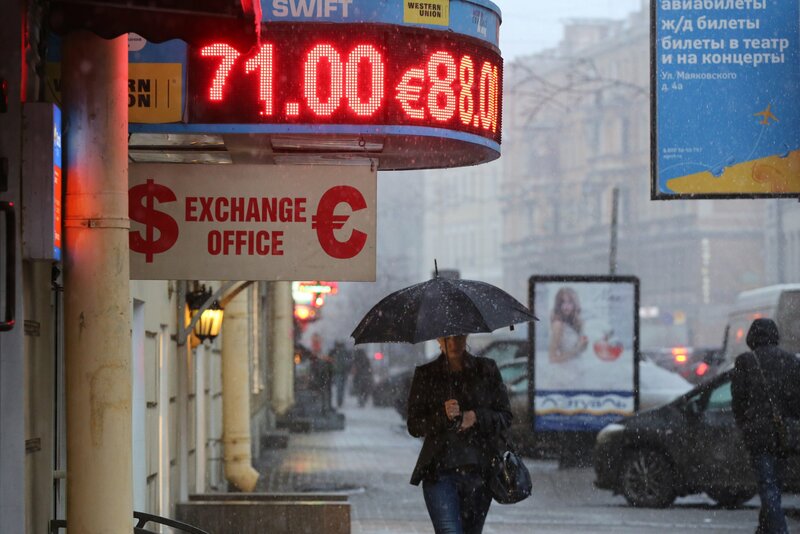 With Russia’s economy nose-diving in the wake of EU and U.S. sanctions and falling oil prices, bringing influential Westerners over to Russia’s side has become essential, politically and economically. “Overall the plan is to have a way to subvert European unity, and ultimately Euro-Atlantic unity,” says Peter Pomerantsev, author of Nothing Is True and Everything Is Possible, a study of the world of Kremlin propaganda. Despite the annexation of Crimea, a bloody six-month separatist war in eastern Ukraine and crackdowns on gays, journalists and opponents at home, Russia can still boast some powerful European friends. Czech President Milos Zeman has condemned EU sanctions against Russia and called the conflict in Ukraine a “civil war;” French ex-president Nicolas Sarkozy, who still heads the powerful center-right UMP party, said earlier this month that Europe should formally approve ceding Crimea to Russia. Hungary’s nationalist Prime Minister Viktor Orban believes Europe’s “prevailing ideological winds” are "blowing from the East" and sees in Russia an ideal political model for an “illiberal state,” which he admires. Orban welcomed Putin to Budapest this month, despite thousands of pro-European demonstrators who marched, symbolically, from Budapest’s Eastern train station to its Western one. Russia has been courting Syriza for some time. In May 2014, Alexis Tsipras—now Greece’s prime minister—was received in Moscow as an honored guest by Valentina Matviyenko, chair of the upper house of Russia's parliament. Since then, Tsipras has echoed the Kremlin line that the government in Ukraine is composed of “fascists and neo-Nazis,” supported separatist referendums in eastern Ukraine, and this month repeated Greece’s opposition to more European sanctions against Moscow. 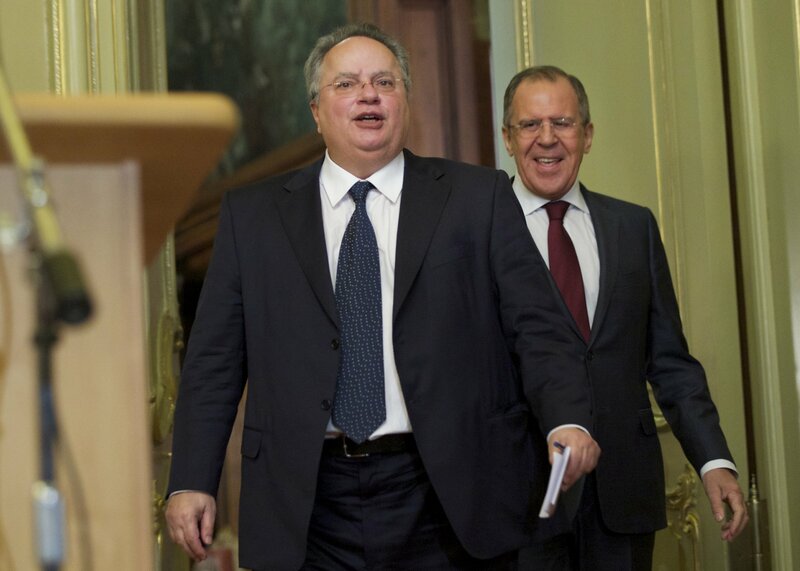 Nikos Kotzias, a former professor at the University of Piraeus who is now Greece’s foreign minister, is also close to Russian philosopher Alexander Dugin, whose doctrine of “Eurasianism” combines a mystical, anti-Western philosophy with Russian ultranationalism. In December 2014, a Russian hacker group named Shaltai Boltai released a trove of emails linking top Syriza leaders with Dugin and Russian oligarch Konstantin Malofeyev, who has bankrolled the separatist movement in Ukraine. Russia’s new friends come from a wide—and bewildering—variety of backgrounds. But they all have two things in common: a disdain for the European Union, and a dislike of U.S. hegemony. Most are also social conservatives. “Everyone from Venezuela to China who believes the West is degenerate and rotted by homosexuality has Putin as their poster boy,” says Daniel Hannan, a prominent eurosceptic Member of the European Parliament for South-East England. Some, like Zeman—age 70 and a fluent Russian speaker—are old Communists who have made friends with Russia’s new capitalists. Zeman's Party of Citizens' Rights, for instance, was openly backed by Martin Nejedly, the Czech representative of Russia’s Lukoil company. And the Russian editions of Zeman’s books were published by a Lukoil-backed publishing house, according to an exposé in Respekt weekly. “The strengthening of Jobbik is useful for Moscow,” says Peter Morvay, a political analyst at Hungary’s ATV television channel. “It is a win-win situation.” Prime Minister Orban’s Fidesz party is already pro-Russian, Jobbik even more so. “Putin is eyeing Vona as a possible future partner who could possibly lead Hungary out of the EU,” says Morvay. That’s unlikely—the party scores around 20 percent in polls. And in May 2014, the party suffered a blow when the Hungarian government sought to revoke parliamentary immunity for Béla Kovács, a Member of the European Parliament (MEP) for Jobbik, in order to charge him with spying for Russia and accepting illegal Russian campaign contributions (Kovács, who worked as a businessman in Russia for 15 years and has a Russian wife, denied the charges and his immunity was not lifted). Does Russia have a grand design not just to break Europe’s support for sanctions and alliance with the U.S., but to destroy the EU? You might think so from the radically euroskeptic bent of allies. But in truth Russia’s friends today are on the margins of power—whereas a decade ago Putin’s friends Gerhard Schroeder and Silvio Berlusconi were at the very heart of European decision-making. 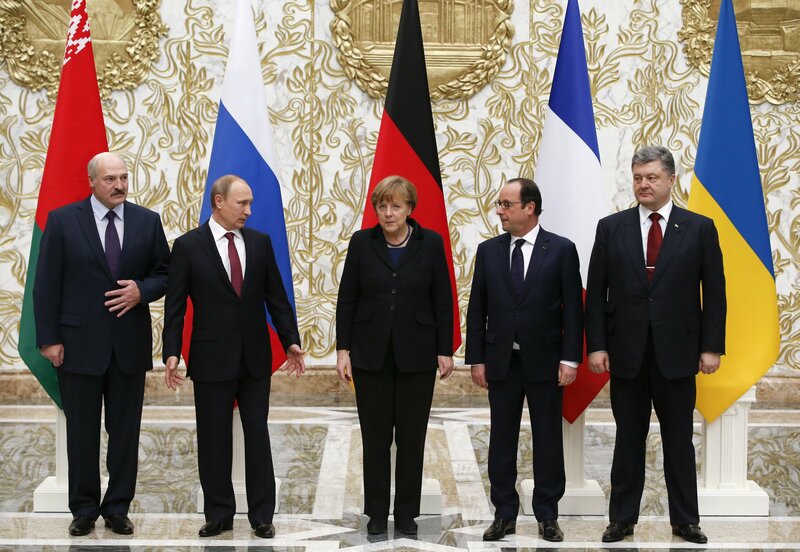 In Minsk earlier this month, Angela Merkel of Germany and François Hollande of France put the squeeze on Putin. As squeezes go, it was a fairly gentle one: Putin signed off on a cease-fire in eastern Ukraine, the Europeans backed off another round of tougher economic sanctions, and the U.S. administration suspended plans to send arms to Kiev. “I have no illusions,” said Merkel, that the deal was anything like a lasting peace—but there was a “glimmer of hope” that Europe, standing together, could face down Russian aggression. Now, Putin is clearly going on the counterattack—starting with his visit to Hungary. Chief among his weapons of persuasion is the old Russian trump card of cheap gas—and, in Hungary’s case, a sweet deal to build Russian-designed nuclear reactors. But Russia’s energy leverage was considerably weakened when European regulators last year blocked the South Stream project—a giant pipeline that would have made most of the Balkans and Central Europe into loyal Gazprom customers. True, the Kremlin has recently scored a success with EU member Cyprus—“an insolvent, risibly tiny Levantine backwater awash with Russian dirty money,” in Hannan’s view—which has offered Russia access to its ports and airfields, including military facilities, in exchange for Russian credit. Russia has long been a master at the age-old diplomatic art of divide and rule. The current European consensus behind sanctions on Russia, and Germany’s unexpectedly tough stance against Moscow, is the exception, not the rule, of East-West relations. In coming months Putin will do his best to cajole whatever Western allies he can find—or buy—back to business as usual. Correction: An earlier version of this story incorrectly stated that Gabor Vona had worked in Russia for 15 years and had a Russian wife. It was Bela Kovacs who worked in Russia and had a Russian wife.